Zhong Jianhua, China’s Special Representative for African Affairs, is in many ways surprisingly candid and disarming. In a recent interview with Independent Newspapers, Zhong, China’s previous ambassador to South Africa, happily acknowledged the deficiencies in China’s understanding of the South Sudan conflict, which is the current focus of his attention. 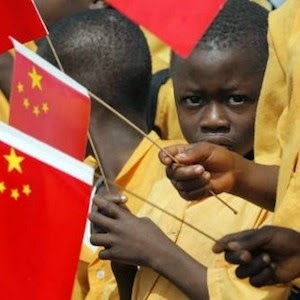 He rebuked China’s African scholars for this deficiency and said they had now been set to work to make up the deficit. But it would still take China ‘decades’ to close the knowledge gap with other countries interested in Africa. Given China’s dominant engagement with Africa over the last decade or so – and the disquiet that has caused among global competitors – this was quite a humble admission. The more striking thing about Zhong’s interview was his description of his ‘pretty dramatic’ first meeting with the South Sudanese opposition – the Riek Machar rebels within the Sudan People’s Liberation Movement (SPLM), who had fallen out with President Salva Kiir – after the civil war erupted in Juba in December last year. To most diplomats, meeting both sides in a conflict would be standard practice. But not to China. But his foreign minister, Wang Yi, decided this time China should act differently – based on the undertaking which then president Hu Jintao had given at the ministerial conference of the Forum for China Africa Cooperation (FOCAC) in Bejing in 2012. ‘President Hu Jintao on behalf of the Chinese government pledged that we will do more in the field of stability and peace on this continent … on the basis that we understand that sometimes this is also crucial to the development of the continent. And so we need to contribute also in this field. This was the first time our leaders talked about doing something on peace and security for Africa. One of Zhong’s aides hastened to correct the journalist interviewing Zhong when he referred to this new approach as a ‘change of policy.’ The aide pointed that there had been no change in policy as Beijing had now simply realised that tackling conflicts had become necessary for advancing Beijing’s historical policy of promoting African development. This rather tortured explanation recalled China’s more familiar euphemistic justification of its aggressively pro-market economic policies of the last 30 years as ‘socialism with Chinese characteristics.’ Such linguistic contortion is the price of attempting to maintain ideological consistency while adapting to changing realities. A small price to pay, it would seem. Because apparently this new approach paid off – though only to a degree, at least as Zhong described it. He said he had given a stern lecture to the then still-united SPLM about the need about the need to resume oil production, which it had stopped over a dispute with Khartoum regarding its tariff for pumping the oil to its harbour for export. Zhong told them to put the interest of their people before their own, at times invoking the example of Mao Tse-tung to support his case. And he gave a similar lecture to the Machar rebels after the split in December last year, urging them not to attack the oilfields, as the revenue they produced would be vital to the recovery of the country after the conflict, no matter who was in charge. The rebels had already completely destroyed one of the oil fields. In both cases they seemed to listen to him, and he believes the advice he gave was the more persuasive coming from China than it would have been from Western governments. Of course it just happened that China had substantial investment in the oilfields, and about 300 of its workers in South Sudan are still running them. So it was also protecting its own interests. Yet Zhong is not implausible when he insists that if Beijing were only looking to its own interests, it would probably have pulled its oil workers out for their own safety. To China, the oil revenue represented a drop in the ocean, whereas to South Sudan it was a matter of life and death because it produced about 97% of the new country’s revenue, he explained. Zhong also described how China has begun deepening its involvement in UN peacekeeping operations in Africa, sending actual peacekeepers to Mali and South Sudan whereas in the past it had largely confined itself to contributing just medical and engineering units to such missions. Zhong also did not rule out the possibility of China providing airlift to deploy African rapid response troops under the new African Capacity for Immediate Response to Crises, though he said that decision would clearly have to be made much higher up the hierarchy. And China also seems to have had a change of heart on arms sales to South Sudan. Beijing has been criticised more broadly for selling weapons, particularly small arms, to several countries in Africa. But Bloomberg reported in September that a Chinese embassy official in Juba said Beijing had halted weapons sales to South Sudan after it had discovered that the state arms manufacturer, China North Industries Group Corp. (Norinco), had delivered a $38 million consignment of arms to South Sudan in June this year. So it seems that China’s involvement in African peacemaking and peacekeeping efforts is evolving in an open-ended way. However one defines this new approach, it would seem that Africa is pulling China – historically allergic to any kind of interference in the internal affairs of other states – towards a more interventionist policy. When the African Union was launched in 2002, its founding document significantly amended the Organisation of African Unity charter by authorising interference in the internal affairs of member states in extreme circumstances. This made it difficult for China to lag behind. How could it justify being at odds with the very continent and countries it was so committed to helping? One of the intriguing questions that arises from this new approach/policy, name it what you will – let’s call it ‘non-interference with Chinese characteristics’ – is how it might reflect backwards into China itself. The underlying reason for China’s aversion to interference in the internal affairs of other states, it has always been assumed, is to avoid setting a dangerous precedent for interference in its own internal affairs. Now that China itself has started changing that example abroad, will it come under pressure to change it at home too?